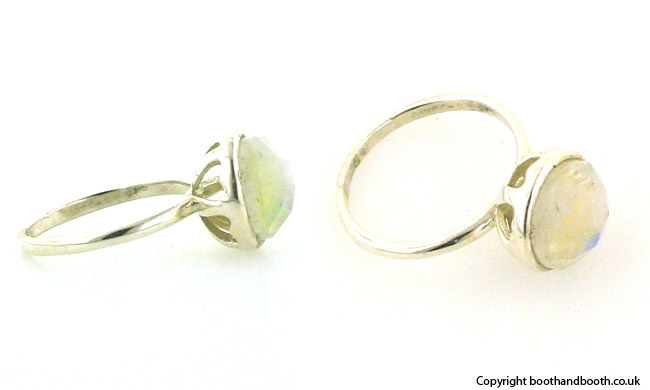 Rainbow moonstone ring set in sterling silver. 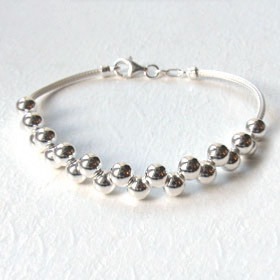 This moonstone is plain set into a sterling silver crown and has a plain band. 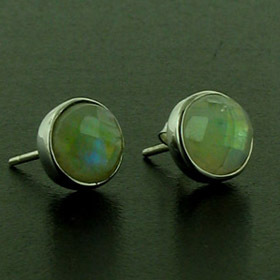 The round moonstone is cushion checker cut and has the characteristic floating blue light, known as schiller. 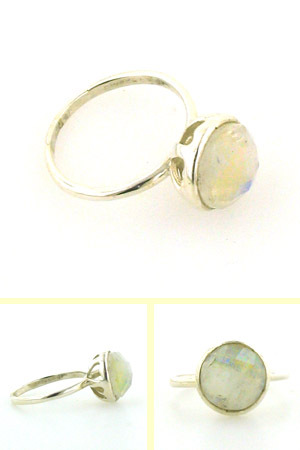 Team up this moonstone ring with moonstone earrings, a moonstone pendant or moonstone bracelet.